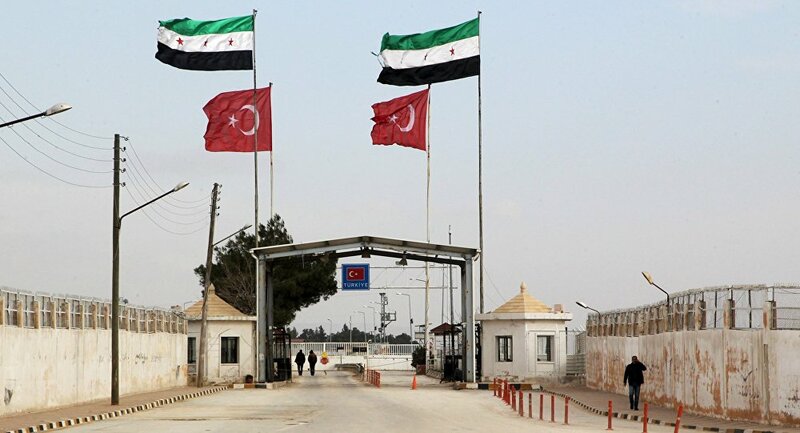 A military convoy with hundreds of militants, allegedly linked to the Free Syrian Army, entered Syria through the Turkey-controlled Bab al Salam checkpoint, a local source told Sputnik on Monday. DAMASCUS (Sputnik) — These are the reinforcements, which Turkey sent to the city of Azaz in northwestern Syria as a preparatory measure ahead of the redeployment of ground forces in the areas of Mari and Azaz in the northern Aleppo province, the source said. Azaz is under control of al-Nusra Front extremists, a group outlawed in a number of countries, including Russia. According to the Syrian Army, militants use the checkpoint for transporting reinforcements and weapons from Turkey. Syria has been shattered by an armed conflict since 2011, with opposition factions and Islamist extremists, such as al-Nusra Front and Daesh, fighting the Syrian Army in a bid to oust the government of Syrian President Bashar Assad.